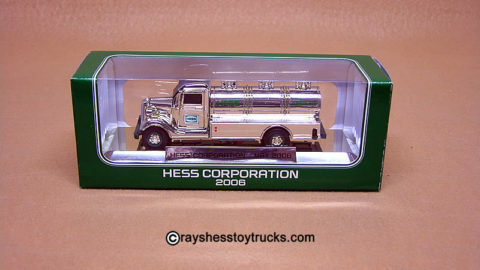 Home / Hess Trucks of the 1960's / 1966 Hess Voyager Ship with Rare Stand! 1966 Hess Voyager Ship with Rare Stand! Included in the set is the box with 3 inserts, ship with all deck parts & battery card. The ship measures about 18″ in length. Bonus items included. This is the second edition of the Hess collection and has all of the deck parts including the rudder and prop in excellent condition. Battery compartment is clean and all the lights have been tested and are in working order. Bottom of the box is in excellent condition with all 4 strong corners (see pic). The top of the box has bright graphics all around with no repaired corners (see pics). Included are the 3 inserts and battery card all original and in mint condition. Comes included with the rare display stand & original Eveready battery. This is probably the only 1966 voyager stand you will see offered with the set on the internet! This is a great collectible for the person that is looking to complete their collection. 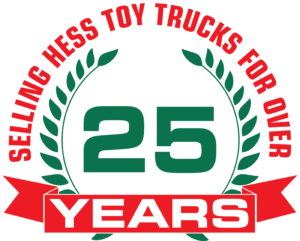 As a bonus included is a reproduction “1966 Toy Tanker Holiday Promotion Booklet”. 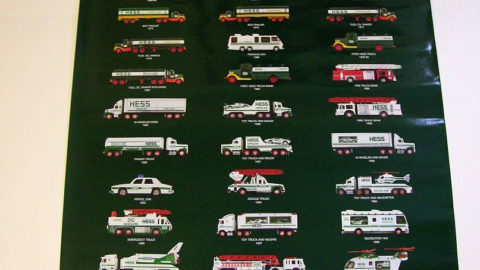 These books were mailed to each dealer to show them how the 1966 Hess Voyager Holiday Edition was to be displayed at the station. It gives a very detailed description with pictures on how to advertise the toy as well as display it in the islands at the pumps.